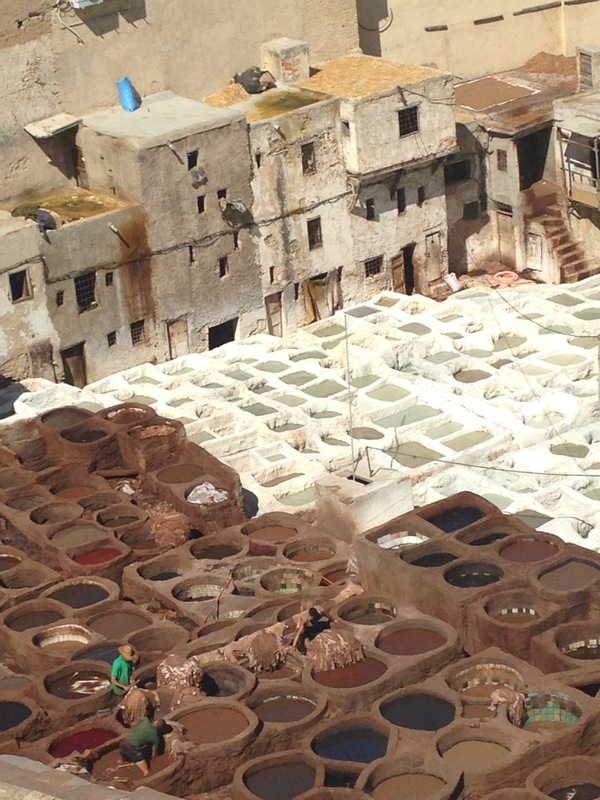 As for my noteworthy memories of Morocco, my experience being guided about through the city of Fes by “Abdel Misouri” is a true highlight of my whole journey. 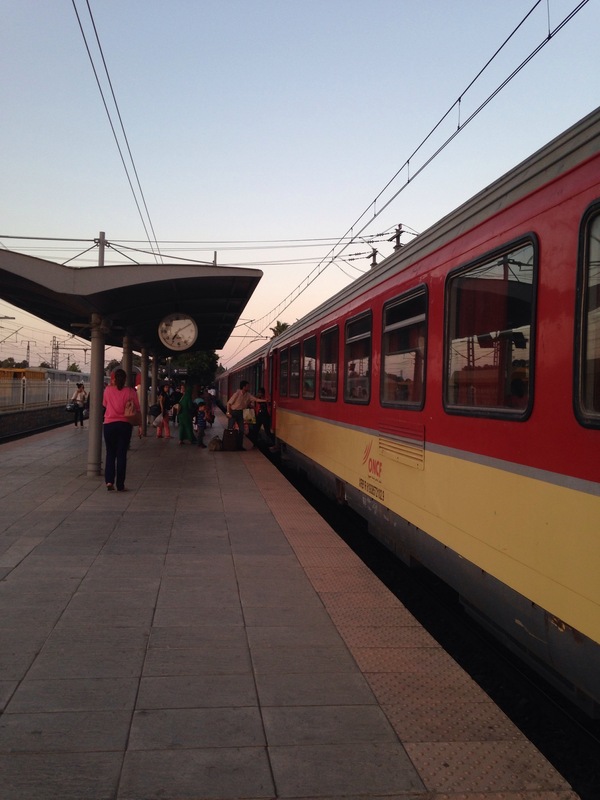 I was struggling so much with the culture shock of traveling as tourists in an economy surviving off of tourism that I was in great need of a humanizing experience of Moroccans, principally. Meeting Abdel was a treasure and a curiosity. 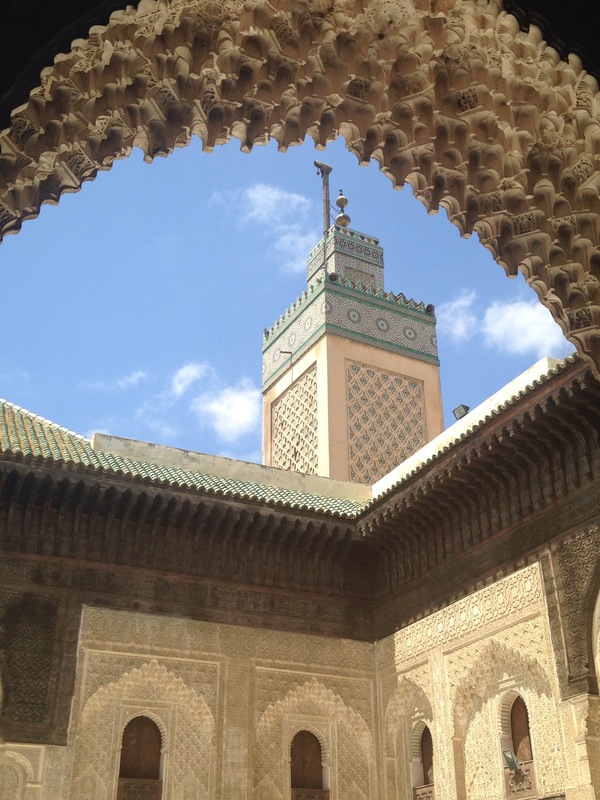 We weren’t even looking for a guide when we arrived at the Fes Merdrasa, oldest university in the Islamic world, now strictly devoted to theological training and prayer but still beautifully in use. But they say in Morocco you can never find the good guides– they find YOU. How we were marked by Abdel as deserving clients of his experience in the city of his birth and now his retirement, I don’t know. But somehow he selected us for the day, for a very reasonable date of 150 dirhams. I can remember how he approached us with the offer, even if it’s somewhat impressionistic: an elegant old man with a long robe dark rim glasses and red felt fes cap, white hairs popping out generously on all sides. Though old, he still had a very strong, purposeful way about him, and as we would learn later, great laugh, progressive mind, and kind nature. 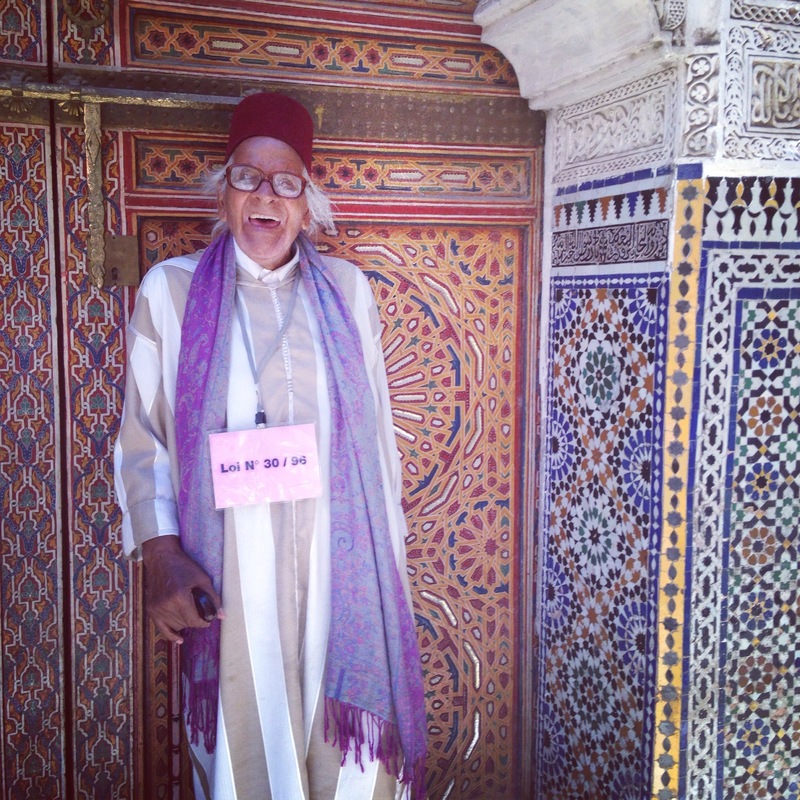 He asked us if we wanted to walk through Fes as if it were filled with memories, and promised he was not going to cheat us, obviously, because he was an old man and hustling is for the young men. So are the touristy areas, which we must agree to avoid. He eschewed all those in Merdrasa plaza who were mindlessly snapping pictures and I heard him mutter- “we are not horses or dogs that we should take pictures of the people without their permission”. But his regal nature was, as we would find out, joined with a jolly spirit. He would frequently burst out in exclamation “Unbelievable!” whenever we impressed him with something we said or did. I will never forget him and how he said this one word in singular fashion. Everyone seemed to know him and he would shake their hands and every time he would have some joke for them; he was quite a hilarious a showman. Because of all this our pace was intermittent and slow, but also it was like this quite naturally because of following an old man. To our astonishment we learned he is 70 years old. He walks 10km every day through the city, but always at his pace. “Patience opens every door,” he would say to us. He celebrated our patience with stories of his own life, which we learned was shockingly loose and prodigal, but we were rapt in attention– he was a great story teller! We learned from Abdel how he has children in all the places in the world he has roamed and also what is now the state of that family. We learned how he and his brother travelled by foot as young men from Fes to Tangier, snuck by boat into Spain, evaded police until Madrid and next Barcelona, as well as about the love interests he left there. We learned that he got a job in the mines in Germany, made a living for himself, went to school and became the polyglot he revealed himself to us to be! Abdel speaks 7 different languages — Berber, French, Arabic, Spanish, Italian, German and English. He had kids in Germany but later met a woman from Sweden while out dancing who invited him to live with her in the United States, where he had more kids, in Wisconsin. But he felt like she was becoming overly bossy so he declared the relationship finished and moved back to Morocco, where he had more children. Quite solemnly though, after all this he explained that he only believes in having one wife. He was very glad for us, being married ourselves, and he said that maybe someday he too will get married. The young woman he lives with now, not his wife, he frequently fights with so delays every night his return home so that there simply is no time left for a proper argument, only sleep. I care very little to imagine what this hilarious old gentleman remains capable of, only to note that he made sure I observed each and every fresh produce aphrodisiac we passed in the outdoor market stalls. There are many, by his report. Our conversation ranged delightfully and was two-sided. Abdel allowed us to speak and share, about life, education, current events (which at this time are very bad, and somewhat a tinderbox in Muslim countries– difficult to approach with good result.) In fact, we had an incredible conversation on the topic of forgiveness, in light of the standoff and broken cease fire agreements between Israel and Palestine. We were having such a good time together and I was shocked as Abdel began reversing the usual dynamics between guide and client, buying samples of his favorite foods without guile, taking us to lunch but insisting on going Dutch, and making sure we stopped for tea, his treat, to enjoy more conversation. And the most incredible instance of this reversal was when it came time to review how much cash I had to pay for lunch and afterward Abdel, I was completely embarrassed to find I didn’t have enough to pay Abdel his fees. A truly horrible feeling. Lunch had surprised us with being overly prices and I had made a purchase of saffron from Abdel of some saffron at the table that also threw off my accounting. A major blunder that could have ended badly, but with utmost grace Abdel agreed to simply walk us back with us to our place where our money was so we could make it right. I was so glad, yet these mistakes always spoil my mood and I was burning inside with embarrassment the whole way back. What Abdel probably didn’t calculate in his own “waving off” of our error as an excuse to enjoy us longer was that it would be almost two hours of extra walking, uphill, over and above his 10km routine. 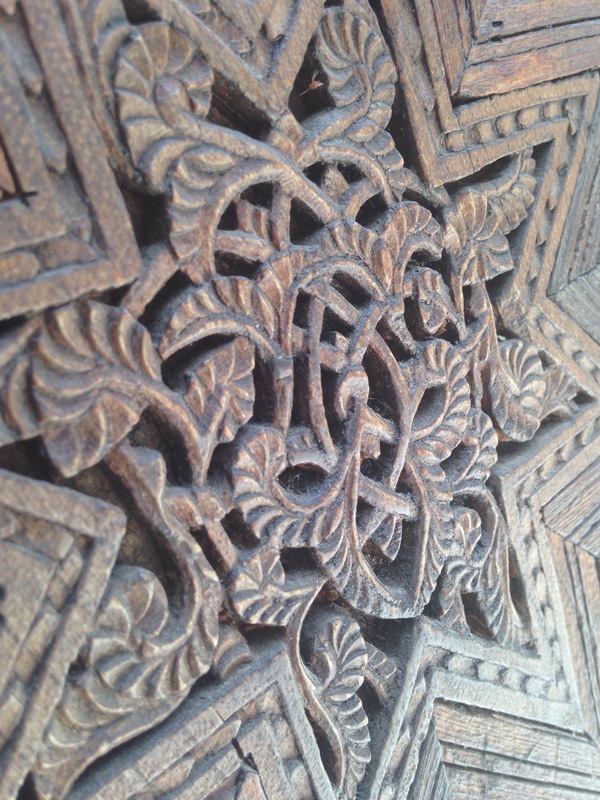 We bee-lines it through the maze of the Fes ancient medina but at a snails pace. Abdel was showing signs of tiring. 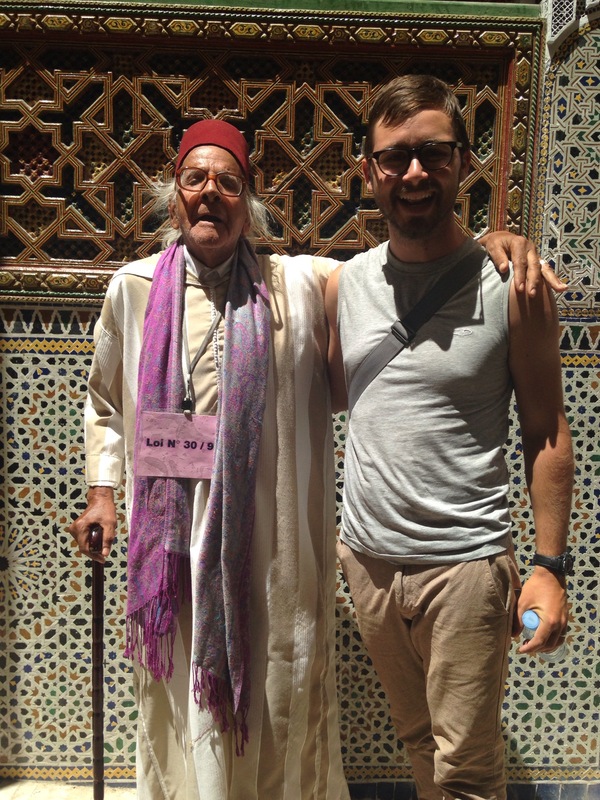 We were marveling at him the whole time, so gracious, so generous, his walk back with us in spite of our mistake was a tremendous gesture of Moroccan hospitality and humanity that I will not forget. We successfully reached our riad, gave Abdel a hefty tip and a great hug. He kissed our foreheads and we bid each other a good sound sleep. I probably will never meet him again but he showed something great of Morocco to me and I left him tired but happy. Posted in MoroccoTagged guide FesBookmark the permalink.